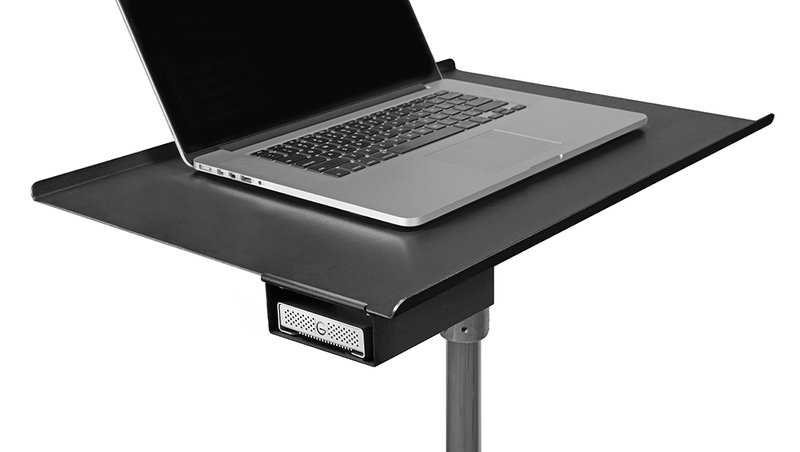 The Aero ProPad for the Tether Table Aero system is an easy-to-use, cushioned, non-slip pad that keeps the Aero Table, and the gear on it, from slipping or scratching. Aero ProPad features a specially-formulated memory foam material that returns the ProPad to its original shape and thickness, even after being clamped or pressed. The wave-channeling on the ProPads surface disperses the heat generated by your laptop computer though embedded air channels.